Our knowledge of energy systems provides our clients an innovative approach to solving the biggest challenges. 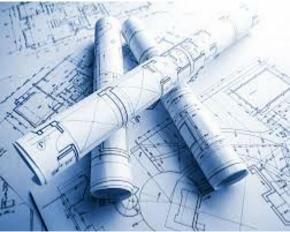 We incorporate value engineering as part of our design process. This includes Initial Costs, Space, Energy Consumption, Life Cycle, and Quality. LINX engineering staff is trained to provide precise calculations with today's state-of-the-art computer programs. This accuracy and documentation provide critical foundations for design plans and construction. The payoffs become obvious during the constructions phase. We believe that turnaround times are critical components of success. Our principles stake their reputation on meeting deadlines and adhering to schedules this is turn averts costly delays and downtime. LINX Engineering LLC, has had many diverse projects over the last 13+ years. These projects range up to $100 million. Linx has provided design and specifications for contract bid documents. Many current projects also include site visits and working with electrical contracts to modify original design during construction. 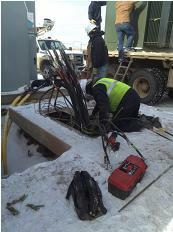 Finally we have been a part of onsite checkout/commissioning the construction on many jobs. Many of my large office and industrial projects have had large horse power motors and chillers which demands working directly with utility systems and integrating electrical distribution. Project experience also includes providing emergency backup packages for large compressor stations, pump stations and school projects. Most recent jobs with TPS have included updating regular site visits to work directly with electrical contractor to study the existing loads for the generator system and make plans for new loads and add a bus tie system. Our experience also includes onsite field engineering for EDG International for two large power plant projects in Peurto Ordaz, Venezuala and onsite field engineer for Sabre mission critical constructed by Zachry Construction in Tulsa, OK.